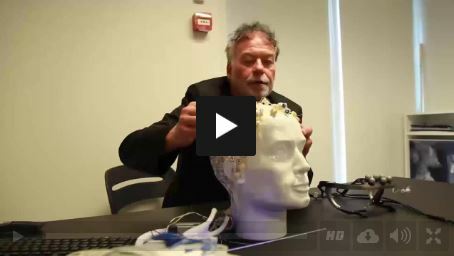 Prototype of hearing aid with EEG and EOG (recording eye movements) sensors, which in the future may help users control sound with their mind. Hearing aids that steer the sound according to the intent of the user seem much closer now, four years after the international COCOHA project began. The project just finished, and it shows that both brain signals and eyes movements can be used to understand where the user’s attention is. 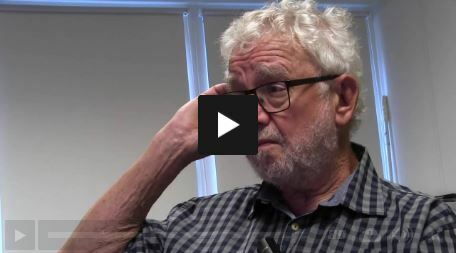 Professor Thomas Lunner, the manager of the Cognitive Hearing Science group at Eriksholm Research Centre, seems self-confident as he says the words. In collaboration with several international partners, his group just finished the important project COCOHA (Cognitive Control of a Hearing Aid) with a positive review from the European Commission. The dream was, and is, to create hearing aids, which are able to ‘read your mind’ and understand what you intent to listen to – and then amplify only that. Just like the brain of a normal hearing person is able to do. From the beginning, the key word for COCOHA has been ‘intent’. “When people with hearing impairment go to a clinic the first thing they say is: ‘I want a hearing aid that only amplifies the sound I’m interested in’. To make intelligent hearing aids that do that we need a way to decode the intent of the user,” says Professor Thomas Lunner. Research suggesting that it is possible to pick up where a person attends by reading the brain signals became the basis for the project. Four years later, this has been applied to a hearing aid prototype. “COCOHA has shown that it is possible with a traditional EEG cap to decode the attention and steer the sound of two different competing talkers. You can now amplify the one you want to listen to with a delay of about 8 seconds and an accuracy of about 90 percent,” explains Thomas Lunner. Since hearing aid users find themselves in many different kinds of environments – often with several talkers – the results are of course not good enough to be implemented in real life yet. It is also necessary to get equally good results using EarEEG electrodes, since “a full scull is not a nice hearing aid,“ as Thomas Lunner puts it. The results are still a big step towards steering sound by reading the brain waves, which will at some point be exact enough to significantly optimize hearing aids. While working on EEG signals, the project expanded into also looking at another way to understand the intent of the user. Picking up eye gaze signals is another way of reading the attention of the listener, since eye pointing is related to attention. “It is possible to accurately steer the sound according to where the eyes are pointing, which is a proxy for attention. Eye gaze steering is already really promising. The system reacts really fast. We are still working on the accuracy, but we believe that we will soon reach close to 100 percent. And that can be made in-ear in the future,“ explains Thomas Lunner. The COCOHA project is a collaboration between Eriksholm Research Centre, the Institute of Neuroinformatics in Zurich, Technical University of Denmark, University College London, and Ecole Normale Supérieure in Paris. It is funded by the European Union Horizon2020 initiative. The European Commission review was very positive both regarding results and the collaboration between the partners. And the Eriksholm researchers feel the same way. ”The project has been a huge success, because so much work and resources have been put into it from all the partners. The collaboration has been unique,” says Carina Graversen. She emphasizes that not only has the research showed some important results, test subjects have also had the chance to try the technology in a lab set-up. ”It is essential that people with hearing impairment have actually tried the technology, and told us that this is something they need. Sometimes scientists can do a lot of work that the user may not find necessary. But in this case we have shown that it is possible to do, and that users actually appreciate it,” says Carina Graversen. The COCOHA project is done, but the results will lay the ground for more work towards making the dream come true. “In one way or the other, you need to know where a person’s attention is to help the signal processing algorithm. 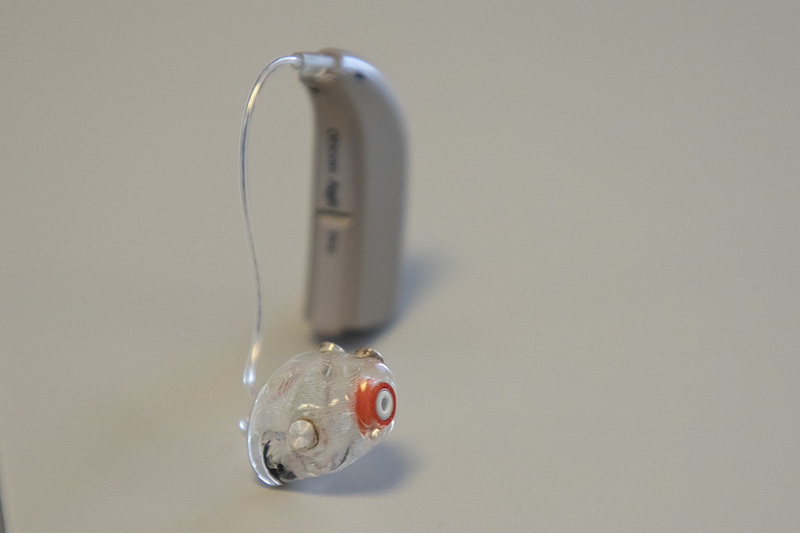 It’s a matter of time, but this will be part of future hearing aids,” concludes Thomas Lunner.